Finding new ways to make money is the motivation of a steady business. With 2.53 billion people in the world using smartphones, it may be a good business strategy to make money through mobile apps. Why mobile apps? Because it’s an easy and passive way for you to gain income. It is low maintenance for the most part. You only need to make updates to your app to keep users interested. App monetization is one of the simplest ways that can help a business in generating revenue. 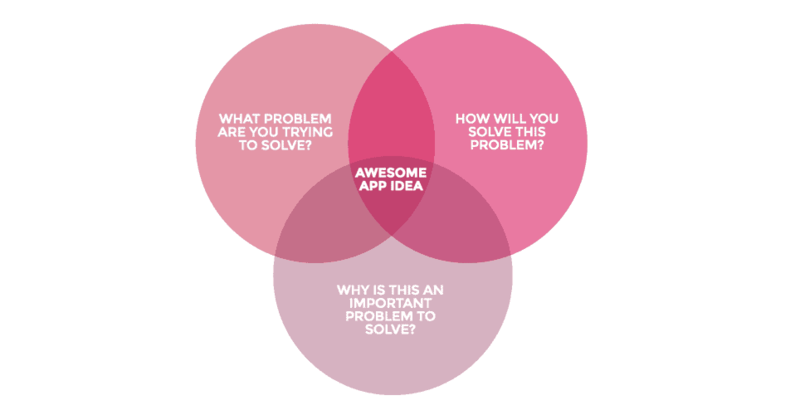 You only need to make a good app and set it up on the app store. The app itself will make money for you even if you do other things. Read what’s below to learn more about the best strategies to monetize your app. Want to the perfect marketing strategy to increase downloads for your new selling app? The first thing you need to do is to let people know about your app. Sending advertisements through various platforms increases your chances of gaining more users. One way for you to do this is to look for a partner whose app you want to advertise on your own. Doing this helps you gain revenue through various means. The main way you can gain income from this is through becoming the publisher of the ad. This means that you get paid to advertise other people’s apps. In turn, people may also advertise your app to their own audience. This is an effective set up to grow your user base. There is also a myriad of ways you can advertise apps and products. Video ads are the best choice as people favor video media more than anything nowadays. They are also good for the long run seeing as major companies are looking to expand on video ads. Banner ads are another option. These are the ads that appear on top or at the bottom of a browser or app. They are the most visible and least cluttering types of ads. These are only some of the ads you can use to generate revenue and improve traffic to your app. This is still one of the most effective ways to gain revenue. This is most optimal for certain app services such as lifestyle apps. Such a strategy is best used if you market it on your own website. App stores don’t give you much leeway on pricing apps. It is an amazing strategy to use if you plan to charge big for your app. Smaller prices may prove not worth the wait when it comes to 1-time payments. This strategy is the best choice if your product or brand is an established one. This will mean people will know that you provide quality goods. If your app is somewhat obscure, then consider giving a free trial for people who download your app. This will let users know what’s in store for them. You may also let them keep the app, but with some features missing. If people like what they have access to, they are more likely to pay for full access to your features. That said, make sure what you have locked away in premium access is worth what they pay for. You don’t want your users feeling ripped off. This is popular among mobile games. Providing your users with the opportunity to advance their progress for a price will prove successful. You can set up your sales to be repetitive. This allows you to have a somewhat steady stream of money coming in. Also, you can set your sales up to be a 1-time buy. Many people favor an option like this. Giving them an option to prevent ads from appearing is the most used type of 1-time sale. If you know how to strike a balance between what you give and how much you charge for them, you can use this with success. In-app currency is another one you can use this strategy on. You can offer these currencies up for real-world prices. You can also offer them different packages. This allows your users to feel like they have more control over their purchases. Seeing as people don’t change their e-mail addresses often, this is a great way to increase customer engagement. Asking for people’s e-mail upon opening your app helps you send them messages about updates and such. This is also a great way to let them know about promotional content and events. If your app collaborates with an e-commerce site, for example, sending an informative e-mail to your clients will let them know of what sale they have going on. This helps promote their products as well as promoting you as an ad publisher. An e-mail list is also a good way for you and your customers to communicate. Engaging with your customers every now and then will make them feel they’re treated in a special way. This makes them more likely to continue using your apps and products. Asking clients for a subscription to continue using a service is one of the biggest strategies today. Many big apps and websites use this because of how effective it is in generating revenues. Subscription-based access works like how free trials do. However, subscriptions will only last for at least a month before users will have to make another subscription. This makes sure that you have income coming in once a month. Not all apps are up to having subscribers. Make sure that your app provides quality content to keep your users subscribed. If not, it should at least provide the user with enough benefits to keep them subscribed. For example, an app that helps improve a user’s lifestyle. Many apps and websites find a lot of success in subscription packages. These work by letting your user choose between several package deals when subscribing. These deals all have their own prices and different features, each greater than the last. Twitch.tv uses this strategy to great success. They have tiered subscription options. They price them only a little higher than the last option. However, they provide the subscriber with more emojis if they opt for the higher tier. This strategy leads to people paying for the top tier subscription more often. Being partners with a big, established brand will open new opportunities for monetization. Yes, it is hard to secure a sponsorship with a big brand. You need to have a large user base yourself and your product/app should be impressive. However, your app can start appearing through different media with a sponsorship. Seeing your logo imprinted on shirts or shoes, for example. If you’ve secured a sponsorship with a social media platform, you can expect a great increase to ads that lead more traffic to your app. However, social media platforms tend to look more into user engagement. So, if you want to monetize your posts on Instagram, Facebook, Twitter, or any other big platforms, you should consider increasing user engagement now. If your app proves to be popular, you may want to consider licensing it. As its popularity grows, you may notice more people want to talk about your app. Licensing them your code enables them to put their twist to it without changing much of the app’s features. You may also white label your app. This gives many other companies access to your app for modification. This gives you a big list of clients willing to pay you for your app. However, doing this may produce a lot of unwanted clones of your product. If you’re looking to go for a long-term sales plan, content creation may be the best strategy for you. Selling your app on the Appstore is the first step for this strategy. The point is to make content so good that people will want to tell others about it. While your user base grows, you work on your app. Make more changes to it according to what the user base likes. In time, you can release an update to your app that provides better user engagement. You can also charge for the upgrade to increase your revenue from the app. This is a high maintenance strategy that you can do as many times as you see fit. The upside is you have a user base who love your app and keep coming back for more. You can also use this strategy if you have a blog-focused app. Posting interesting blogs on a regular basis is a great way to monetize your app. This works if your app requires users to have a subscription. It’s easier now more than ever to get app monetization nowadays. So, don’t miss out and get your apps monetized today! If you have more questions about using apps in generating revenues, don’t hesitate to contact us here.